Anytime someone is physically injured as a result of negligence or misconduct of another person or entity, West Virginia law entitles the injured person to legal compensation for their losses. Miller & Zois is widely regarded as one of the top personal injury firms in the Mid-Atlantic region. Our lawyers handle more than motor vehicle accident, medical malpractice and birth injury cases. We have a long history of success in all types of major personal injury cases in including slip and falls; pharmaceutical and product liability; serious dog bites; nursing home negligence; and tort claims against the federal government. Miller & Zois is based in Baltimore but West Virginia has always been one of our "home base" jurisdictions. We have local counsel there to assist us with our cases which means clients get two law firms for the exact same price as one. We have earned millions of dollars for our clients in West Virginia and have been handling cases there since 1996 (before Miller & Zois was formed). We regularly handle all types of personal injury cases in West Virginia. Below is a summary of other types of common injury cases in West Virginia with some thoughts about the settlement value of these claims. Under West Virginia law property owners must maintain their property in a safe and reasonable condition. This includes all homeowners, business owners, and other entities that own public areas. Premises liability is the legal concept for which property owners are responsible for injuries and harm caused by unsafe conditions on the landowner's premises. One of the most common personal injury actions stemming from premises liability are slip and fall accidents. Some common causes for slip and fall accidents are uneven payment, structural damage, wet floors, falling objects or debris, icy sidewalks, inadequate lighting, and inadequate safety features. Property owners are given a reasonable amount of time before fixing their unsafe condition. However, during this period, property owners must post signs warning the public about the hazardous condition. If a property owner fails to warn or fix the hazard within a reasonable period of time, the property owner may be held fully liable. Helen L. Bias v. The Kroger Co. (West Virginia 2016) $230,115: plaintiff was shopping at the Kroger grocery store in Holden. Another patron allegedly knocked several two-liter bottles of soda to the floor and the bottle burst. Plaintiff walked in the store near the soda spill and she slipped and fell due to the unsafe condition. Plaintiff suffered unspecified personal injuries caused by the fall. Plaintiff sued the defendants claiming that the employees had the knowledge of the dangerous condition but breached their duty to maintain the premises by failing to protect her from dangerous and defective condition. She sought damages for her emotional distress, medical expenses, loss of enjoyment of life, disability and pain and suffering. The jury awarded the plaintiff $230,115 dollars. Timmons v. Ohio Power Co. (West Virginia 2011) $7 million: deceased plaintiff delivered hydrogen to defendant's Power Plant Unit. While deceased plaintiff began filing the hydrogen storage tanks, the thin walled copper vent pipe in the upper unit failed. This caused the hydrogen gas to accumulate to dangerous levels under an overhanging shed roof. As a result, the storage system exploded and caused severe injuries to the plaintiff, which ultimately led to his death. The estate of plaintiff sued the defendants in Marshall County for their failure to inspect, maintain, and repair all components of the hydrogen storage system. The jury awarded the plaintiff $7 million dollars. Elmore v. Specialty Ventures (West Virginia 2004) $19,500: plaintiff slipped and fell at an ice cream parlor in a shopping mall in Raleigh County. Plaintiff suffered cervical, thoracic and right knee and wrist strains. She contended that the defendants failed to maintain the premises in a safe manner, allowed spills on the floor to remain for an unreasonable length of time, and failed to remedy or warn of the known dangerous condition. The defendants denied liability, disputed the plaintiff's injuries, and contended that they were unrelated to the incident. The parties entered into a settlement agreement of $19,500. Garland v. Triangle Company (West Virginia 2003) $9000: plaintiff suffered a fractured base of the 5th metatarsal bone, knee strain, and pain in the right food when she slipped and fell in the parking lot of a motor oil store in Logan County. The plaintiff contend that the defendant failed to ensure the area frequented by customers was free of motor oil, failed to routinely inspect and properly maintain the premises, allowed the dangerous condition to exist for an unreasonable length of time, and failed to remedy or warn of a known dangerous condition. The defendant admitted liability and both parties agreed to settle for $9000 dollars. In West Virginia, dog owners are strictly liable for their injuries caused by their dogs when they are "running at large." Under West Virginia Code § 19-20-13, an owner of any dog is liable for any damages inflicted upon the person or property of another by a dog at large. This means that an injured person does not have to prove that the owner or keeper knew the dog would act aggressively or cause injuries. If the owner allowed the dog to run at large and the dog caused the injury, the owner is responsible for the damages. In a case when a dog is not "at large" or someone other than owner allowed the dog to be "at large" the injured person must prove that the owner's negligence caused the injury. Negligence will not attach unless the injured party can demonstrate that the injury could reasonably and foreseeably have been anticipated by the owner or keeper of the domestic animal. Additionally, in West Virginia a person is prohibited from keeping a dog if he or she knows it is vicious, dangerous, or in the habit of biting or attacking other people, regardless of whether the dog wears a tag or muzzle. If the injured person can show that owner had knowledge that the dog had a dangerous or vicious propensity, the owner will be strictly liable. Ehrenberg v. Wilson (West Virginia 2018) $37,395: adult plaintiff brought a lawsuit for injuries he suffered at the age of ten, after a dog owned by the defendants bit him in the face. Plaintiff stated that he suffered 4.2 cm right cheek laceration and a puncture wound near his nose which resulted in facial scarring. Plaintiff claimed that the defendants were strictly liable for the dog's conduct and had reason to know that the dog was aggressive because it had bitten two children before the incident. The plaintiff further alleges despite knowing the dangerous tendencies of the dog, the defendant failed to control the dog by putting him on a leash, moving him away from children, or putting warning signs regarding the dangerous dog. The defendants deny liability. The jury found the defendants had actual or constructive knowledge that the dog had dangerous or vicious propensity. The plaintiff was awarded $37,395. 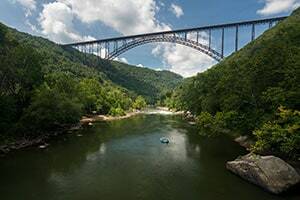 Shrewsberry v. Skaggs (West Virginia 2003) $7112: a six year old female was bitten by the defendant's dog while was playing at the defendant's residence as an invited guest. As a result, the plaintiff suffered lacerations on her nose. The plaintiff contended that the defendant failed to properly restrain or confine her dog, failed to warn of its known vicious tendencies arounds small children, and failed to ensure the plaintiff's safety/ The defendant admitted liability, but contended that the plaintiff did not interact appropriately around the animal and failed to use due care for her own safety. The parties entered into a settlement agreement of $7112for the benefit for the minor plaintiff. Carr v. Horton (West Virginia 1997) $96,250: A six-year old female suffered a facial laceration, resulting in scarring; a head laceration; and ecchymosis of the face when she was bitten by a dog owned by the defendants. The plaintiff contended that the defendants failed to maintain control of the dog and that the dog was vicious. The defendant denied any negligence. The parties entered into a settlement agreement of $96.250 for the benefit of plaintiff. If a person is injured by a "product," the manufacture or seller may be held liable for placing the defective product into the hands of a consumer. Generally, the law requires that a product meet the ordinary expectation of the consumer. In West Virginia, a product liability action may be based on negligence, strict liability, or breach of warranty. Negligence: In West Virginia, the plaintiff or injured person must show that: (1) the manufacturer owed the consumer a duty to design/manufacture/ warn, (2) the manufacturer breached that duty, (3) the breach of the duty proximately caused the plaintiff's injuries, and (4) the plaintiff was injured. Although, negligence remains a viable cause of action in product liability lawsuits, strict liability and breach of warranty are becoming more common theories of recovery. Strict Liability: In strict liability theory of recovery, the plaintiff does not have to prove that the manufacture was negligent in some particular fashion. It allows proof of defective condition of the product as the principal basis of liability. Under strict liability, the focus is on the defective product and not the defendant's conduct. This allows a plaintiff in West Virginia to assert a strict liability against any party in the chain of distribution, even "innocent sellers." Breach of Warranty: Generally, the premise behind warranty is that a producer promises or guarantees that a product will act or perform in a certain way. West Virginia generally does not require contractual privity in order to file a claim for breach of warranty. This means that a person does not need to have been a party to the original warranty to have standing to file a claim. A plaintiff may sue any party in the chain of distribution. Pharmaceutical cases are a particular type of product liability that involve prescription drugs to cause medical injuries. There are three types of class action law suits against pharmaceutical companies: (1) pharmaceutical drugs that were defectively manufactured, (2) pharmaceutical drugs with dangerous side effects, and (3) pharmaceutical drugs that were falsely marketed. Pharmaceutical cases can be very complex. Often times there are multiple entities involved, including the manufacturing facility, a doctor, hospital, pharmacy, testing laboratory, pharmaceutical sales rep, or the shipping facility. Knight v. Boehringer Ingelheim Pharmaceuticals (West Virginia 2018) $1.2 million: 89-year-old female died from complications of uncontrollable gastrointestinal bleeding she experienced while taking defendant's oral anticoagulant medication to treat her non-valvular atrial fibrillation. The estate claimed that the defendant failed to provide adequate warnings for the medication. Additionally, the estate claimed that defendant fraudulently concealed material information about the medication. The asserted claims against the defendant were based on strict liability for failure to warn, negligent failure to warn, breach of express and implied warranties and fraud. The defendant denied liability. The jury returned a verdict for the plaintiff and awarded her $1,250,000. Nease v. Ford Motor Company (West Virginia 2015): $3 million: A 72-year old female was hospitalized for respiratory failure that required treatment with a tracheostomy after he was involved in a single vehicle accident while driving a Ranger pickup truck manufactured by the defendant. Plaintiff claimed that the truck's accelerator pedal allegedly stuck or failed to return to the idle position, causing the plaintiff to drive off the road and collide with a brick building. Also, the plaintiff claimed that the defendant was negligent and breach the express and implied warranties of fitness and merchantability in the design, manufacture and distribution of the vehicle's accelerator pedal and throttle assembly, and its braking assembly. The defendant denied liability and claimed that the plaintiff was contributory negligent in causing his own injuries. The jury awarded the plaintiff $2.8 million dollars for the plaintiff's damages and awarded his spouse $250,000 for hour loss of consortium. Donna and Dan Cisson v. C.R. Bard Inc. (West Virginia 2013) $2 million: plaintiff underwent the implantation of a transvaginal mesh implant manufactured by the defendant. The device was meant to buttress organs collapsing into the pelvic region. However, the plastic in the device began to fail and resulted in pain, bleeding, and other side effects. The plaintiff sought recovery on failure to warn, strict liability for defective design and manufacturer breach of implied warranty. Additionally, the plaintiff sought punitive damages. The defendant denied accusations, asserting their product was safe and that the plaintiff ignored the warnings. The jury awarded the plaintiff $2 million. The personal injury attorneys at Miller & Zois can help you get the best result in your personal injury case. Call us today at 800-553-8082 or get a free online consultation.